Chinese brand Cube introduces another tablet running the Remix Os called Cube i10 Remix. 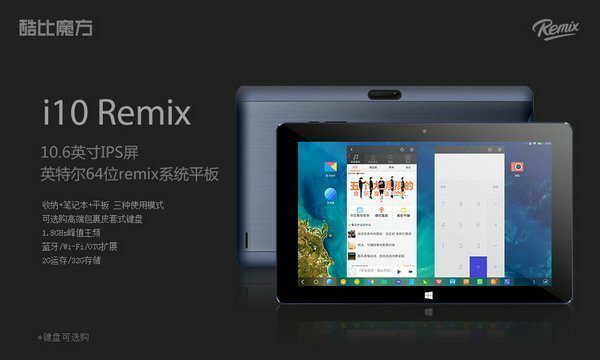 Earlier, on the tablet called i7 Remix with 11.6 inch screen Cube began disseminate Remix OS on tablets. The Cube i10 Remix is a budget tablet with a 10.6 inch display, 2GB of RAM, 32GB of storage, and an estimated price of 699 yuan, or about $110. The tablet is powered by an Intel Atom Z3735 Bay Trail processor. The Cube i10 Remix feature a 10.6 inch IPS screen and supports 802.11b/g/n WiFi, Bluetooth 4.0 connectivity together with a mini HDMI output, a microSD card reader to expand the on-board storage further, as well as front and rear cameras, and a 6,600 mAh battery. 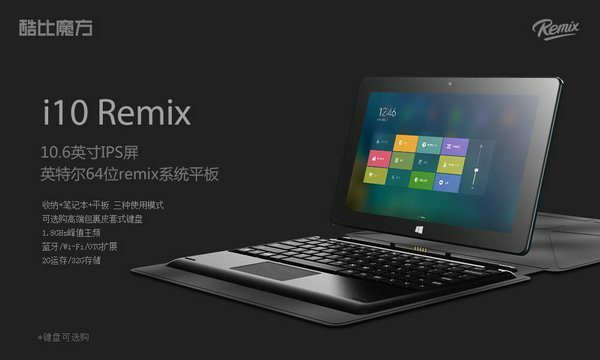 The new Cube i10 Remix is basically a version of an existing tablet called the Cube i10. The new system from Jide still is not very popularized, but this will change already soon, because manufacturers are increasingly eager to introduce devices running the new Remix OS. Remix OS is also already installed on mini PC – Remix mini desktop.